Comfort zones. They’re just so easy, so familiar, and so very safe. Though they may be delightful, they’re actually the pit of fiery doom for new ideas, aka innovation. Old ideas and old concepts don’t push the box. They just create existing things. If you’re comfortable with any one thing, it becomes commonplace and makes things boring as you get used to them. Pushing the box however, allows you to think, to create. Without thinking outside your limits, we we never have landed on the moon, or built computers. We would have never even discovered cooked food (yum). 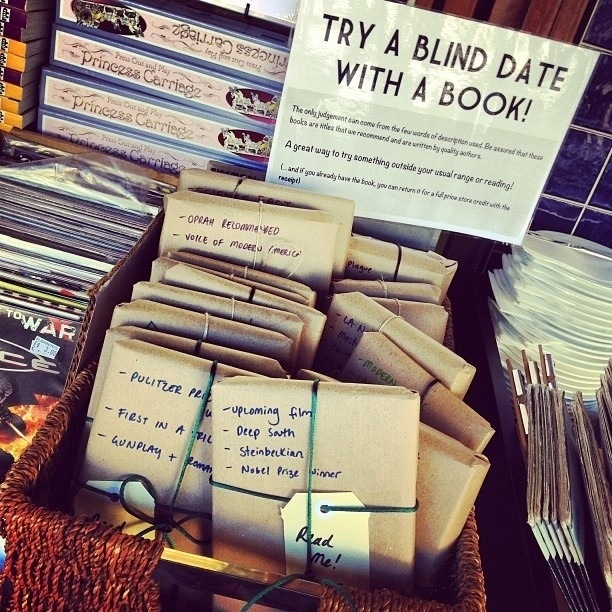 Like being daring and uncomfortable, try a blind date with a book. You may not know the genre, but you may end up liking the book a whole lot more. Try out ideas and think it through before they are rejected. When a hairy man 6ft tall and 500 pounds shows up on your door, don’t judge. Try it out,you’ll be surprised. Perhaps he isn’t as you seem. Perhaps he could be the suave and dastardly handsome bloke you had always wished for. This entry was posted in Re:Framed and tagged blind-date, book, date, innovation, Uncomfortable. Bookmark the permalink.